Keep your community up to date by sharing events or allow your members post their events. 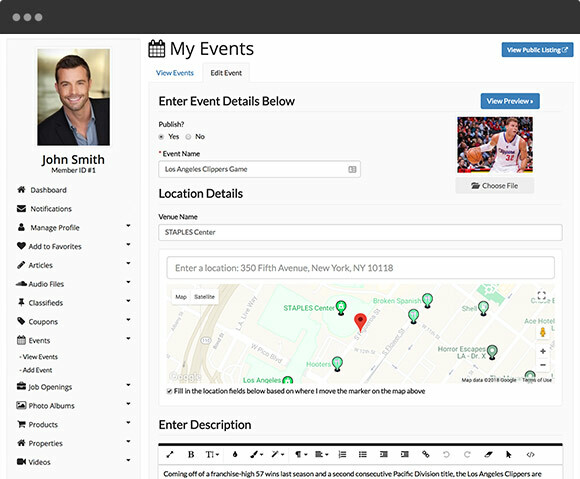 Publish events with locations, images, links, start dates and more. 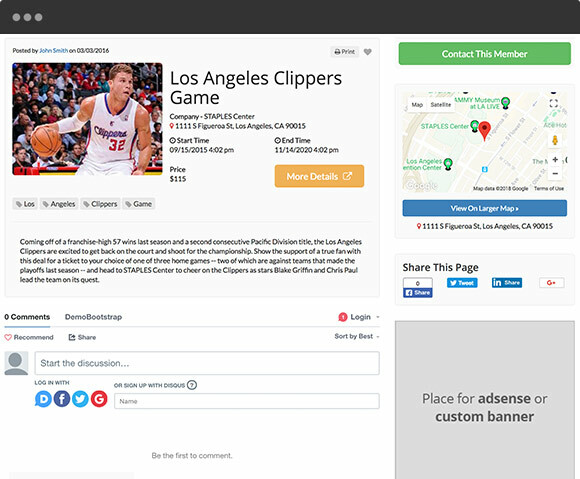 Include “Tickets” and “More Info” buttons to link to external sites where event tickets can be purchased. Events can be sorted by location and displayed in a list view or organized on an interactive calendar. Simple forms make posting a new event easy. Public event pages can be shared and commented on. You and your members can publish events with details, images, ticket links and more. Events published to your website can be organized and displayed on an interactive calendar view. Events can be sorted by location. These events with a physical location will have a Google Map displayed.